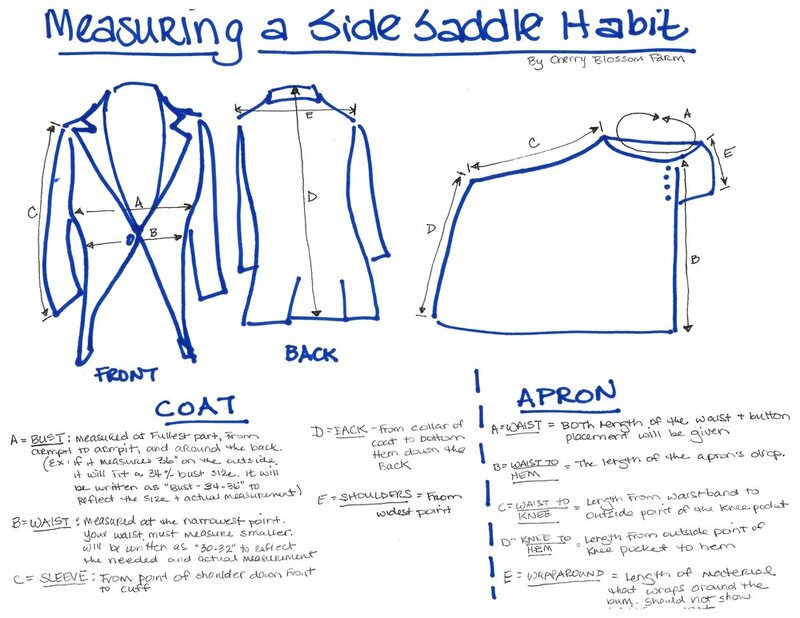 “Equestrian Correct Riding Apparel” (made in England) - $650. Medium-weight navy blue wool habit. Excellent Condition. Has Rapahannock Hunt (VA) buttons and colors on the jacket. Came in with a few animal hairs, they will all be lint-rolled off. Bernard Weatherill (England) Khaki/Tan Wool Side Saddle Habit. A simply stunning habit! Excellent overall condition. 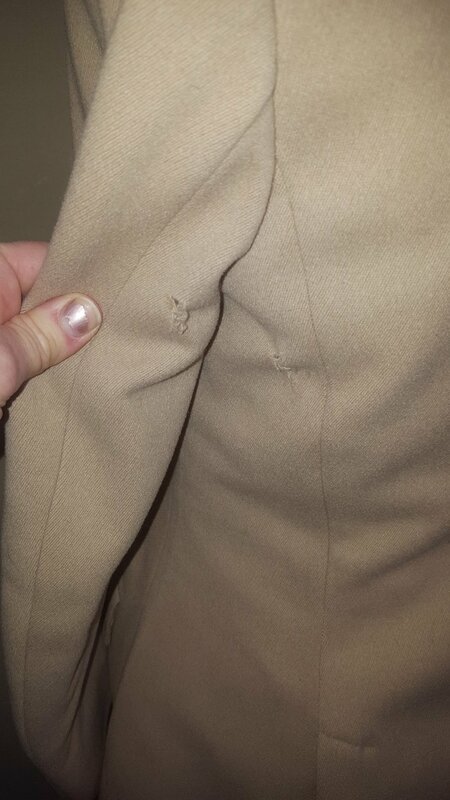 It has small small holes in the jacket on the underside of the sleeve and near the seam, as well as a small hole on the apron. All 3 can be easily repaired by a quality seamstress. There is a also a very small stain on the apron that should come out with a dry cleaning. Apron: 30.75” waist (buttons at 29”); 28.25” waist to hem; 17.5” waist to knee; 22” knee to hem; 10” wraparound.